Infectious Mononucleosis (Glandular Fever), also known as mono, is due to infection by the Ebstein-Barr herpes Virus (EBV). The disease was first described in the 1920s. The virus spreads through saliva, which is why it’s sometimes called “kissing disease“. 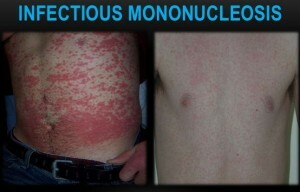 the incubation period for mono is four to eight weeks. Using contaminated items, such as drinking glasses or toothbrushes, can spread the infection. Young people are mainly affected. The disease is important in hematology because of the diagnostic difficulties that can arise. The disease may cause non-specific malaise, fever, sore throat, headaches, and lymphadenopathy (glandular fever); some cases are asymptomatic. Lymphadenopathy is almost universal, and it lasts for 1-2 weeks. The spleen is often palpable and there may be hepatomegaly and jaundice. Skin rashes are frequent. A macular erythematous rash may occur in patients with infectious mononucleosis who are treated with ampicillin or amoxicillin. 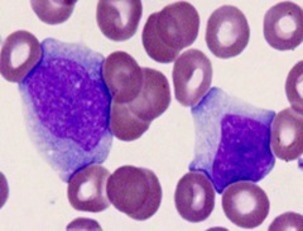 A lymphocytosis develops and atypical mononuclear cells are found. These cells have irregular nuclei, often with nucleoli, but usually with condensed chromatin to distinguish them from blast cells. These cells are activated (reactive) T cells. An autoimmune hemolytic anemia or thrombocytopenia may also occur. N.B. Atypical mononuclear cells are also seen in other infections including cytomegalovirus (CMV) and toxoplasmosis. The diagnosis of EBV infection is dependent on the demonstration of agglutinins to horse or sheep red cells (Paul-Bunnell test). The mononuclear spot test or monospot test, a form of the heterophile antibody test, is a rapid test for infectious mononucleosis due to Epstein–Barr virus (EBV). It is an improvement on the Paul-Bunnell test. Although virtual 100% specificity exists with the Monospot test, rarely, other disorders have been reported that may produce a false-positive Monospot test result. These causes of false-positive Monospot test results include toxoplasmosis, rubella, systemic lupus erythematosus, and certain malignancies, particularly leukemias and/or lymphomas. The most effective treatment for infectious mononucleosis is REST and drinking plenty of fluids, followed by a gradual return to normal activities. If the spleen is enlarged, all contact sports should be avoided until the enlargement has subsided completely. 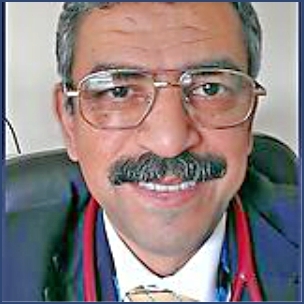 Closely monitor patients with extreme tonsillar enlargement for airway obstruction. Steroids are indicated for impending or established airway obstruction in individuals with Epstein-Barr virus (EBV) infectious mononucleosis. Surgery is necessary for spontaneous splenic rupture, which occurs in rare patients with EBV infectious mononucleosis and may be the initial manifestation of the condition. No effective antiviral therapy is available for Epstein-Barr virus (EBV) infectious mononucleosis in immunocompetent persons. Acyclovir and ganciclovir may reduce EBV shedding but are ineffective clinically. Treatment of immunocompromised patients with EBV lymphoproliferative disease is controversial. Acyclovir has not been proven to be beneficial. Short courses of corticosteroids are indicated for EBV infectious mononucleosis with hemolytic anemia, thrombocytopenia, CNS involvement, or extreme tonsillar enlargement. However, corticosteroids are not indicated for uncomplicated EBV infectious mononucleosis. Corticosteroids should be considered in those with impending airway obstruction. Patients with EBV infectious mononucleosis who have positive throat cultures for group A streptococci should not be treated because this represents colonization rather than infection. Treatment of group A streptococcal oropharyngeal colonization in patients with EBV infectious mononucleosis may result in a maculopapular rash. Ali J. Spontaneous rupture of the spleen in patients with infectious mononucleosis. Can J Surg. 1993 Feb. 36(1):49-52. Al-Jitawi SA, Hakooz BA, Kazimi SM. False positive Monospot test in systemic lupus erythematosus. Br J Rheumatol. 1987 Feb. 26(1):71. Bender CE. The value of corticosteroids in the treatment of infectious mononucleosis. JAMA. 1967 Feb 20. 199(8):529-31. Tynell E, Aurelius E, Brandell A, et al. Acyclovir and prednisolone treatment of acute infectious mononucleosis: a multicenter, double-blind, placebo-controlled study. J Infect Dis. 1996 Aug. 174(2):324-31. Infectious Mononucleosis (Glandular Fever), also known as mono or kissing disease, is due to infection by the Ebstein-Barr herpes Virus (EBV).